Have you ever heard of lightning art? You might have seen a viral photo or two going around the internet that looks like one of these images. Often, the photo will be accompanied by a caption like, “What happens when lightning strikes sand.” It turns out that those photos actually show the amazing work of a sandcastle artist who goes by the name of Sandcastle Matt. But what actually happens when lightning hits sand? 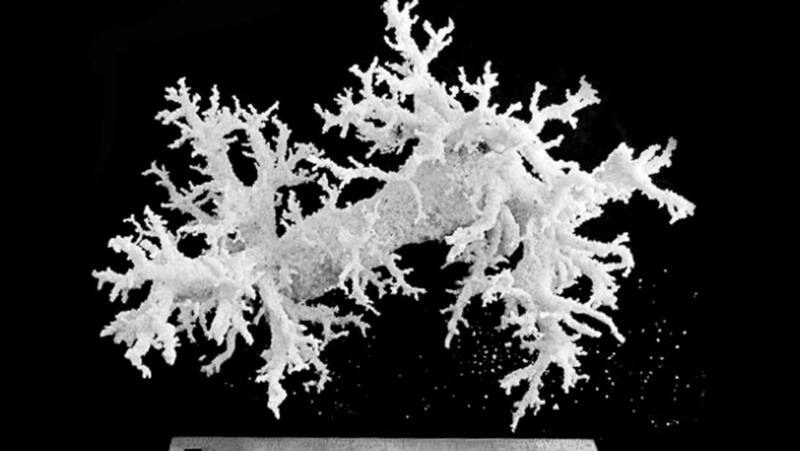 As it turns out, it creates something equally amazing – fulgurite! Fulgurite are hollow tubes of glass created when the silica or quartz found in sand fuses together during a lightning strike. For it to work, though, the temperature of the lightning strike has to be above 1800 degrees Celsius (which is 3272 degrees Fahrenheit!). 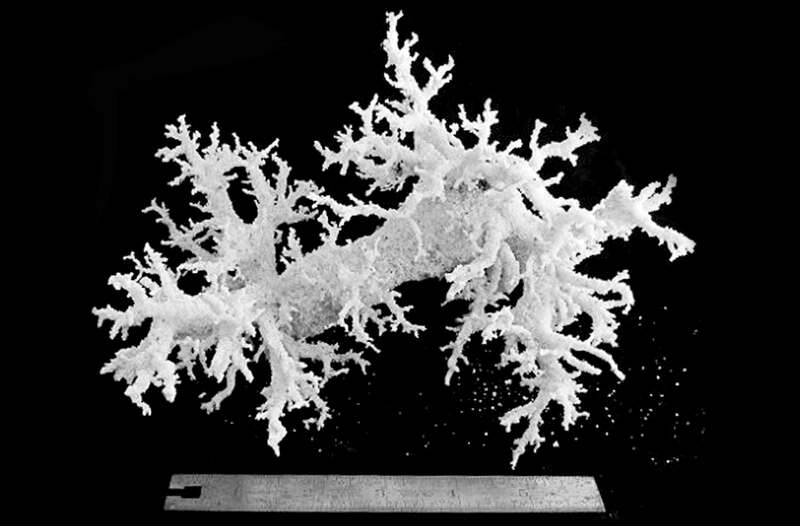 The shape of a fulgurite shows the path the lightning bolt took as the energy pulsed through the ground. Because of the way lightning works, they tend to look like the twisted roots of a tree. This is another important point – fulgurite is created underground. This makes them hard to find and rare to see. Every once in a while, however, enough wind erodes the surface of a sandy area to uncover a piece of fulgurite and leave it visible for amazed scientists and spectators. Removing them is a bit tricky – they are made of glass, after all, and in many cases, a bit of uncovered fulgurite is ancient, made literally hundreds of years ago or more. Fulgurite has been found all over the United States, as far south as Florida and as far north as Maine. While they are usually tan, pure white fulgurites like this one can occasionally be found. If you are careful, you can make some fulgurite yourself if you live near sand. When you believe a lightning storm is coming, drive a lightning rod or piece of rebar into some sand about 12 to 18 inches deep and extending up into the air. Select an open, flat area, far away from people or animals, where the metal rod will be the tallest thing around. Next – go home! That’s right; it’s not safe to be near when the lightning strikes the rod. When the storm has passed, you can go back and check to see if you made any fulgurite. Be careful, though – the sand might be very hot (remember what temperature sand has to be to make fulgurite?). For more details or other ideas on how to make fulgurite, check out this page of advanced science projects.